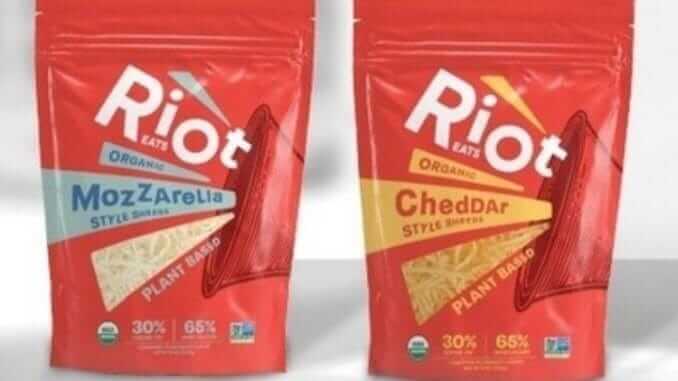 Toronto-based GreenSpace Brands has announced the launch of Riot Eats – a new plant-based dairy brand which will be unveiled this week at the 2018 Natural Products Expo East. GreenSpace is a “brand ideation team that develops, markets and sells premium natural foods to consumers across Canada and the United States.” They are set to introduce what is reportedly North America’s first USDA Organic plant-based cheese slices and shreds. In addition, they are entering the market with several new products including plant-based cheeses, butters, and spreads, which will retail in grocery stores in early 2019.